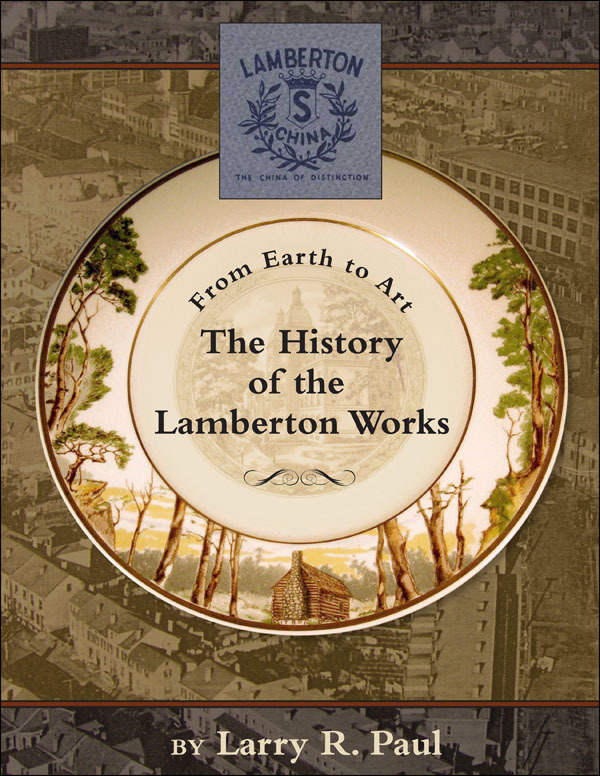 Completed in 2013, "From Earth to Art: The History of the Lamberton Works" (shown below) not only includes a detailed chronicle of the men and women who were part of the Trenton, N.J., company, but also hundreds of photos, pattern information and catalogs. The book is now part of the collection of the Hagley Museum and Library and is available free of charge. Click here to view it from the library site. Expect a lengthy download time. For a limited time, a lower resolution version of the book (with faster download) is available here as well. Click here to download. "Made in the Twentieth Century"
Larry's earlier book, "Made in the Twentieth Century," is available from online sellers, including amazon.com. To send Larry an email, click here. Want to get more involved in the history of Lamberton and Scammell China or have an interest in other commercial china manufacturers? Visit the Restaurant Ware Collectors Network in its new home on Facebook: https://www.facebook.com/groups/TheRWCN. Join us! Addenda to "From Earth to Art"
The Hotel Database is long-term research project that details, when known, the following information for more than 43,000 hotels in the United States, spanning nearly 100 years: Name - Location - Construction, Closure, Conversion, Destruction - Architect/Builder - Owner/Operators - Cost - Architectural Syle/Features/Additions - Floors/Rooms - Notes on China Service - Restaurants/Lounges/Coffee Shops, Ballroom. A primary source of research has been Hotel Red Books – from 1904 through 1969 – and in many ways the database can be thought of as the information from 65 years of HRBs compiled under one cover. Additional information, with sources, has been culled from all manner of postcards, brochures, newspapers and magazines and individual researchers. The database has also been added to the Hagley Museum but at this time is not available for download.However, you can download a free version of the file here; see options below. Click here for a .csv file that can be opened with Excel that includes more than 43,000 entries. Click here to browse for two options for PC users for versions that will open with Excel. These were handsomely formatted in 2009 and contain more than 24,000 entries. Click here to browse for two options for Mac users for versions that will open in the OpenDocument Spreadsheet software (as well as Excel). These were also formatted in 2009 and contain more than 24,000 entries. Please note: No support is provided for these copies of the database.